A while ago I wrote the post Troubleshooting Exchange with LogParser:RCA logs, which describes how you can parse RCA logs using PowerShell and LogParser. With the new protocol MAPI over HTTP also new kinds of logs were introduced. When it comes to connectivity or performance issues, those logs might help you to find the root cause. Note: The number is 66 as there are 64 folders and 2 items. As the layout changed, not all the queries could be run against these logs. ConcurrentConnections is not available anymore. In order to query MapiHttp logs of Exchange 2016 CU4 or later versions, just use the new switch E16CU4orLater. The script will search for Exchange server within a given AD site, determines the installation path and search then in those paths for log files. There are several possibilities you can filter for (e.g. : servers, AD sites, dates, users). Note: It doesn’t has to be the exact one! StartDate this is used for filtering the logfiles to be parsed. The default format is yyMMdd, but you can also use yyMMddHH. EndDate this is used for filtering the logfiles to be parsed. The default format is yyMMdd, but you can also use yyMMddHH. LogParser Define path to LogParser.exe. ADsite Search for Exchange servers in one or multiple sites. The default is the current site from the script is running. You can define multiple sites comma separated. ConcurrentIntervall Define the interval of the query ConcurrentConnections in seconds. ClientReport Creates a report of all unique user-agents and the number of hits for each. E16CU4orLater With Exchange 2016 CU4 the path and design of these log files have been changed. With this switch you can query these. There was nothing bad, but as you might realized there is one mailbox with 196 concurrent connections. In general not a problem, but I’ve seen client with several thousands connections. There could be several reasons (e.g. : broken profile, Outlook Add-Ins), which cause this misbehaviour. When it comes to high number of misbehaving clients, it could be a severe performance issue for your servers. For faster parsing I recommend to define a Start and EndDate including the hours you want to parse. 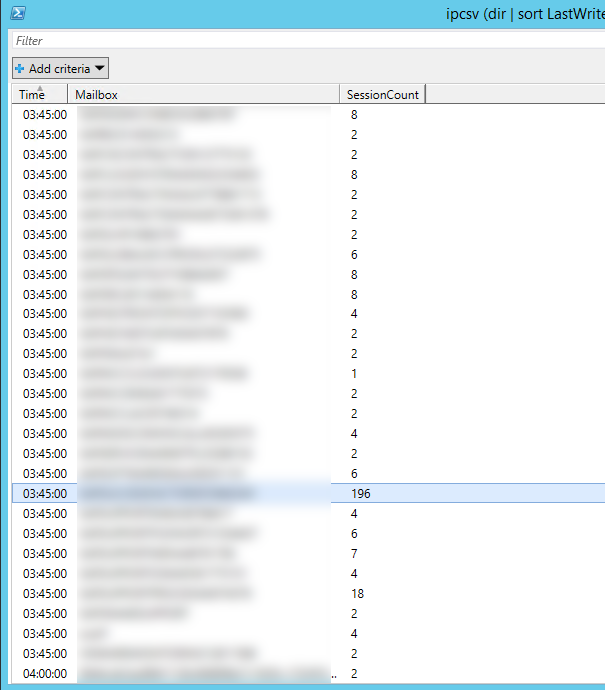 Also keep in mind that those logs are only written on the server, where the mailbox’ database is currently mounted. If you have a DAG with 16 servers and the users mailboxdatabase has 4 copies, you need to parse only the servers, which have a copy of this database. Why those 4 and not only the one where it’s currently active? You don’t know whether the database did a failover just before you checked where it’s mounted. Happy parsing! I hope this helps and feedback is always more than welcome! 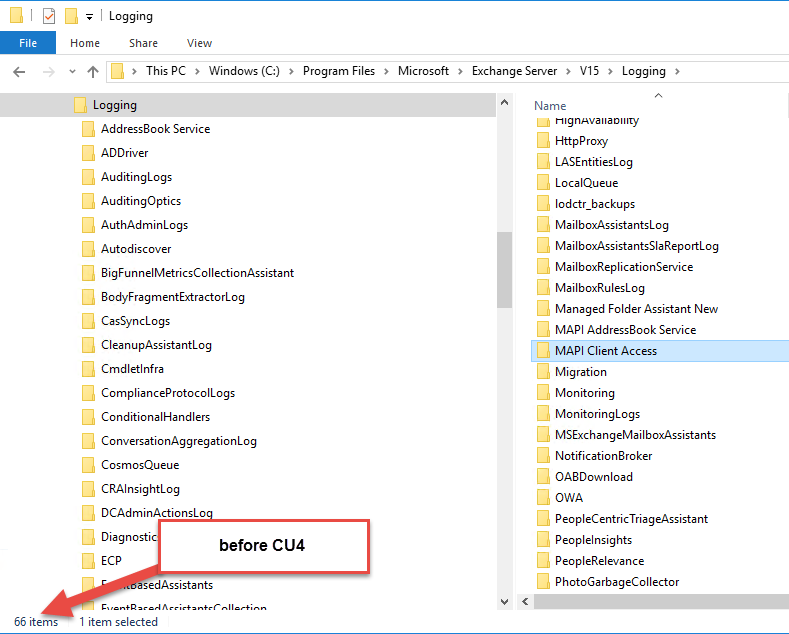 This entry was posted in Analysis, Clients, Exchange and tagged #MSExchange, Logs, Outlook, Performance, Powershell, Troubleshooting by Ingo Gegenwarth. Bookmark the permalink. Ingo, thanks for sharing. Very helpful manual. There is a small error in your script regarding the selection of Exchange servers. You have defined a filter on CAS and combined CAS/MBX, but it should be MBX and combined CAS/MBX. 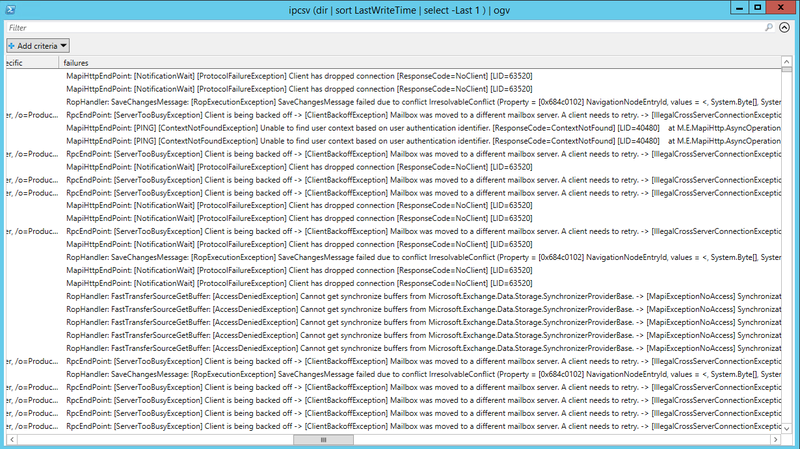 There are no MAPI Client Access Logs on the Exchange 2013 CAS servers. nice spot! You’re right. Anyways I’m currently updating the script to reflect the change in Exchange 2016 CU4. The updated version will be available in the next days. Very useful script, curious if it is tried and tested with Exchange 2013? actually I wrote the script when we migrated to Exchange 2013 and no Exchange 2016 was in production. Short answer: Yes. 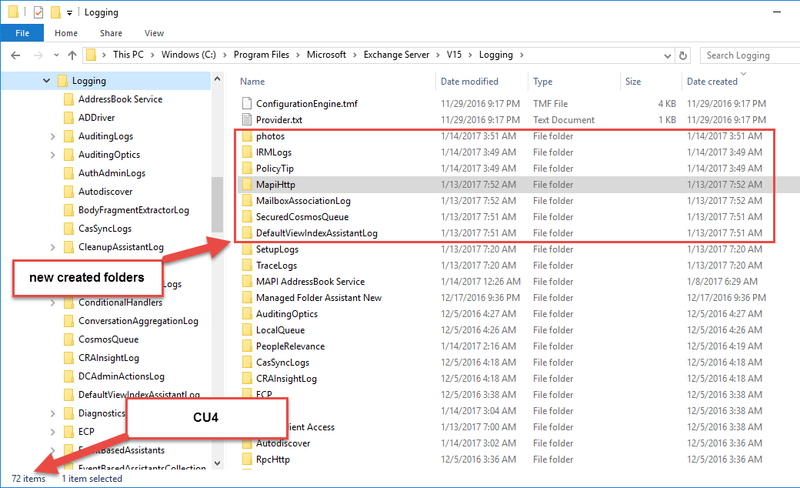 The game changed with Exchange 2016 CU4 as mentioned in my update, which created the need for an additional switch. 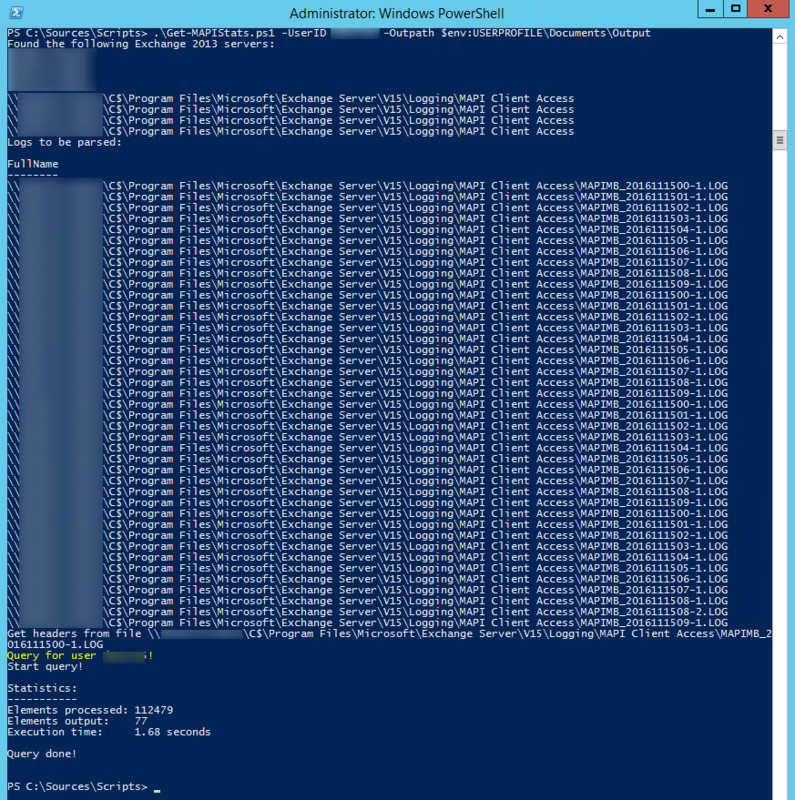 C:\temp\logs\Get-MAPIStats.ps1 : Parameter set cannot be resolved using the specified named parameters. Any clue on what might be the problem? If I run the script without parameters, it gives me the “no server found!” error. Hey HN, is the server/computer you’re running the script in the same AD site like the Exchange servers? Yes, it’s a small lab environment, with 2 Exchange 2016 boxes. It’s odd because I ran it on another lab with 2010, 2013 and 2016 machines, and it picked up the 2013 and 2016 without a problem. I’ve also double checked the AD objects for the versions, role numbers, etc, and everything seems to be in order. And when you provide the AD site name? Maybe something wrong with this box. Make sure you’re logged on with a domain account and not with the local admin. It seems to be related to the position of the parameters. Hi HN, thanks for testing! The point is that this is on purpose. The switch -E16CU4orLater is intended to work only with User/Users or ErrorReport. The information to get the report for ConcurrentConnections is not available anymore in the logs. And I made a user or users mandatory to search for. Otherwise you would get all log entries. I enforced this with the ParameterSetName in the script. Ah I see, now it makes sense, yes! 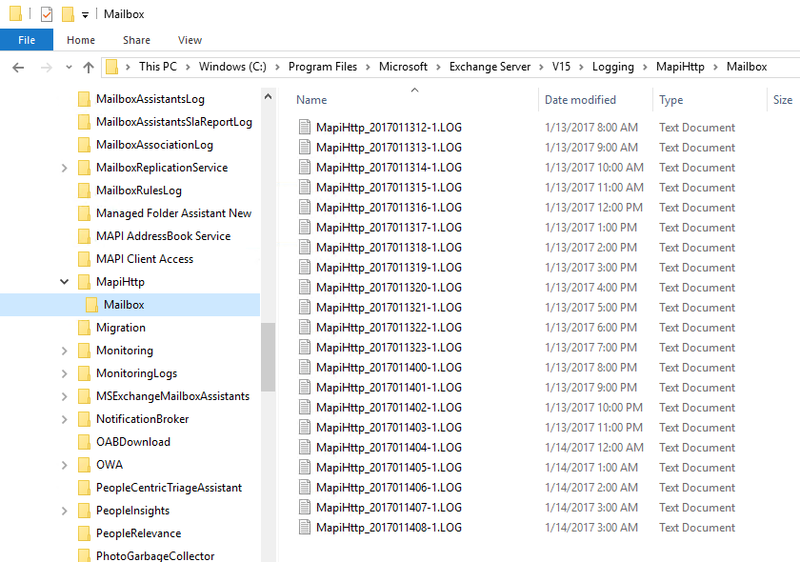 I think if have Exchange manager Tools installed. It is better to use Get-ExchangeServer to get all exchange servers. Hi Scotch, does the script find and show logs to be parsed? yes, it shows a lot. I then tried to use the last part of the LegacyExchangeDN, then I get that error. Hi Scott, that’s interesting. Could you do me a favor and uncomment in the End block of the script the line and send me to rca[at]thecluelessguy.de the file? You can check. there are no information in the file. It’s only the query for LogParser. Also all parameter, which have been used. I see a line at the bottom of the script with End, but I’m not sure what you want me to do. If you want you can email me directly. do you see the folder listed when using the Verbose switch? If so: Can the user, which runs the script access the folders via UNC path? Your scripts are amazing. I use several of them and they’ve really helped in troubleshooting issues. How could I modify any one of them so that I could use it to troubleshoot receive connectors? 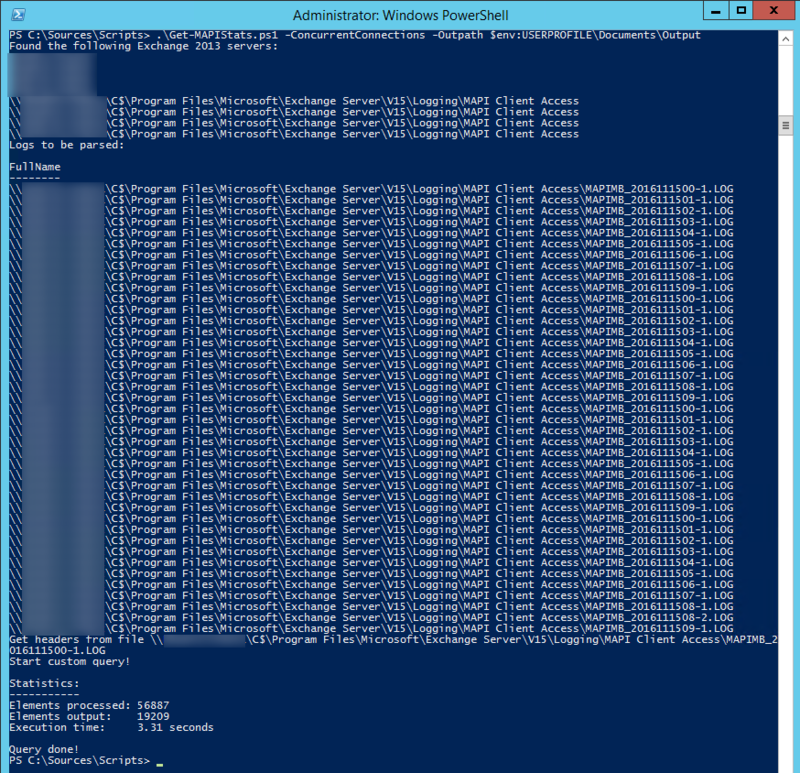 I’m trying to find/create a script that gathers receive connector logs from multiple servers, parse them for the specified IP address, and combine them into one CSV file that I can open in grid view. Any suggestions on how to modify for this use would be appreciated. thanks for the kind words. It all starts with a working Logparser query. Once you have this you can write a new script. Hi, we are in the middle of migration hundreds users to exch2016 and I would like to know who connect trough Outlook/owa for last day. Becasue I use another script to migration their mails I can not use lastlogon. This script is excelent and I know that all infomration is in the logs.